It’s no secret that there are many food-based traditions all over the world. Food’s a universal need, and often at the center when family and friends gather together, whether it’s to celebrate a child’s marriage, enjoy a holiday feast, welcome someone home, or even to mourn the death of a loved one. 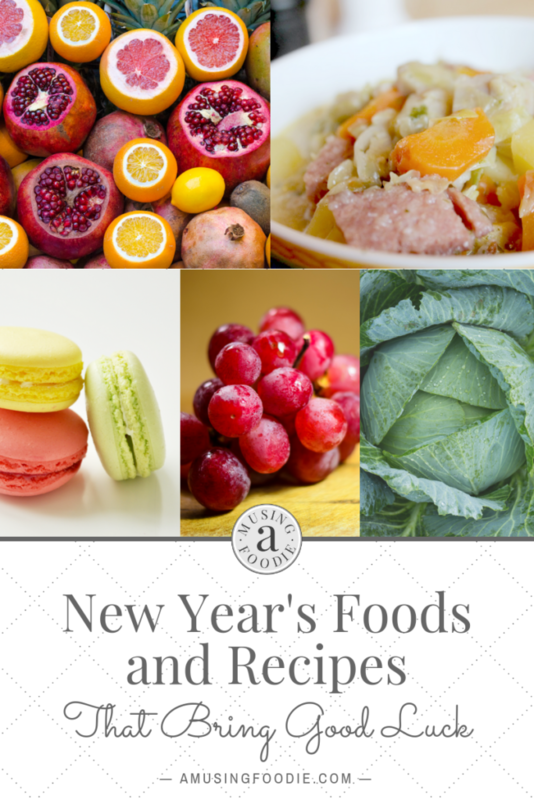 Some even say there are certain foods and recipes that bring good luck in the new year, too! Growing up, my family always had black-eyed peas served on New Year’s Day. It’s a Southern tradition and something, I gather, we adopted from my father’s side, whose roots are from East Tennessee. Black-eyed peas are supposed to bring prosperity, and according to Wiki, there are a few reasons this tradition likely began, mostly stemming from the Civil War era. In one tradition, black-eyed peas are a symbol of emancipation for African-Americans who officially became free on New Year’s Day, after having been enslaved before the Civil War. It wasn’t a celebratory food then; rather it was a staple, and one with a history that’s important to note. A food historian, Twitty re-creates the meals slaves would have made on plantations using 18th-century tools and ingredients – some of which we eat today. Think leafy greens and black-eyed peas. Another tradition has to do with General Sherman’s army who left peas and salt pork untouched after a raid during the Union Army’s March to the Sea. The Southerners felt lucky to have some sort of sustenance left behind to help them survive winter, and this evolved into a general “good luck” vibe that attached itself to celebrating annually on New Year’s Day. The last one you might find has to do with ancient Egyptians, who considered it a sign of humility to eat peas before the gods (since they’re such a lowly food). Pro tip: Black-eyed peas are a super versatile legume, and can be eaten cooked down in soups, or as part of a cold bean salad. 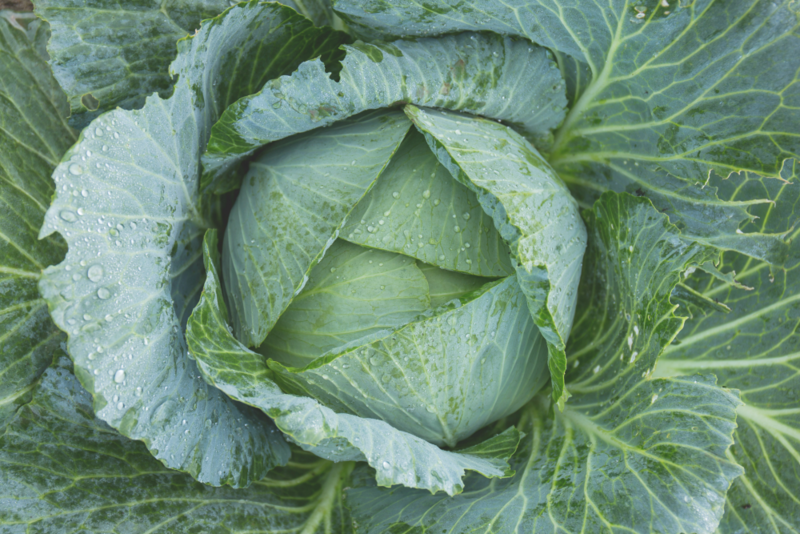 Cabbage and other greens like collards and kale are late crops, meaning in many areas they’re ready to be harvested in December and January. My parents have some growing in their high tunnel right now, in December! Couple that with the fact that green leaves are representative of money and prosperity, it’s easy to see why eating cabbage and other greens have become a lucky New Year’s staple. Looking back a thousand years, Ancient Romans, Greeks, and Egyptians ate cabbage to ward off disease and to help with digestion. These days we don’t exactly rely on only foods to keep us healthy (though eating smart helps), but back before the age of antibiotics and modern medicine (or even Tums), folks probably considered themselves pretty lucky to find anything that could thwart off a terrible illness—even if it was just a placebo. Pro tip: Cooked cabbage pairs great with black-eyed peas that have been simmered all day with a ham bone in a slow cooker or Dutch oven, or by using a pressure cooker! If you’re not in the mood to cook, there are a few different fruits known to promote luck in the new year, too! Eating grapes, in some Spanish-speaking countries, are said to be lucky and/or predictive of what the year holds. Specifically, you eat twelve grapes, one for each chime of the clock at midnight. They’re said to ensure sweetness in the new year, and in Spain a big all-night celebration begins after the grapes have been consumed, ending with breakfast the next morning. 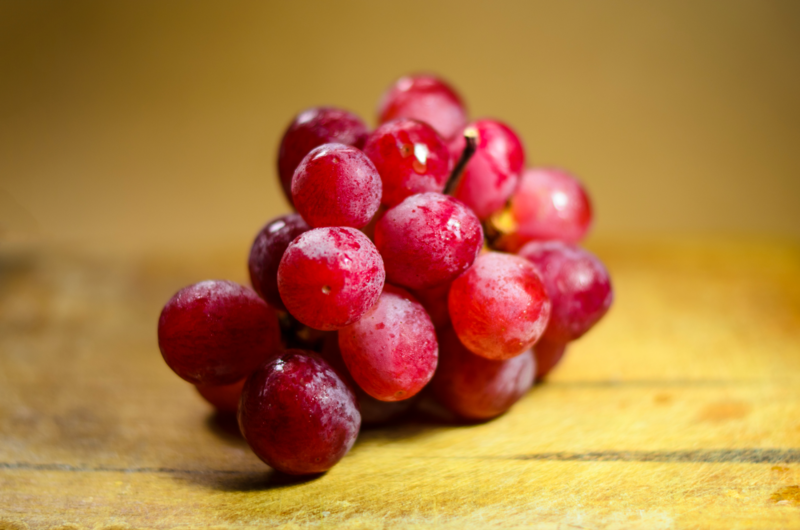 In other countries, the grapes foresee the future, with each of the twelve grapes representing a month and how well you’ll fare—sweet grapes equate to good months and sour grapes predict harder months. 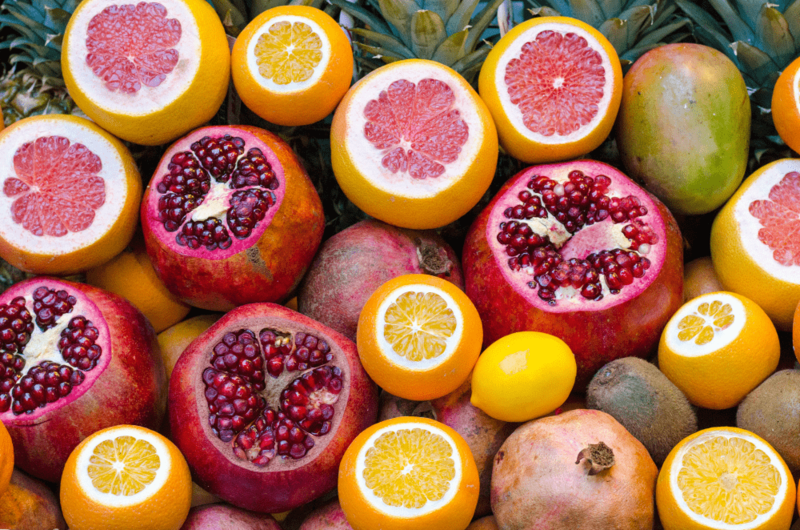 Eating round fruits, like pomegranates and oranges, are supposed to represent coins and good luck. In some countries the fruit is smashed to bring good luck, or seeds are cleaned and saved to represent money and prosperity, and in others it’s the color of the fruit that’s important (deep oranges and reds, in particular, bring luck) and it’s simply eaten on New Year’s Eve. There are many references to animals, and whether or not they bring good luck or bad luck. Most of what I’ve read equates the luckiness to whether they’re creatures that move forward or backward. Lobsters, for example, frequently move backwards, and so they’re considered UNlucky to eat on New Year’s Eve. Pigs, however, use their snouts to move and root around, which is then correlated to forward, positive progress. Pro-tip: Pork goes great with both black-eyed peas and cabbage (I feel a feast brewing), and it’s also a great way to use up leftover Christmas ham—like in this Instant Pot ham and bean soup! Like fruit, it’s considered lucky to eat round shaped sweets to celebrate the new year because the shape represents coins and prosperity. 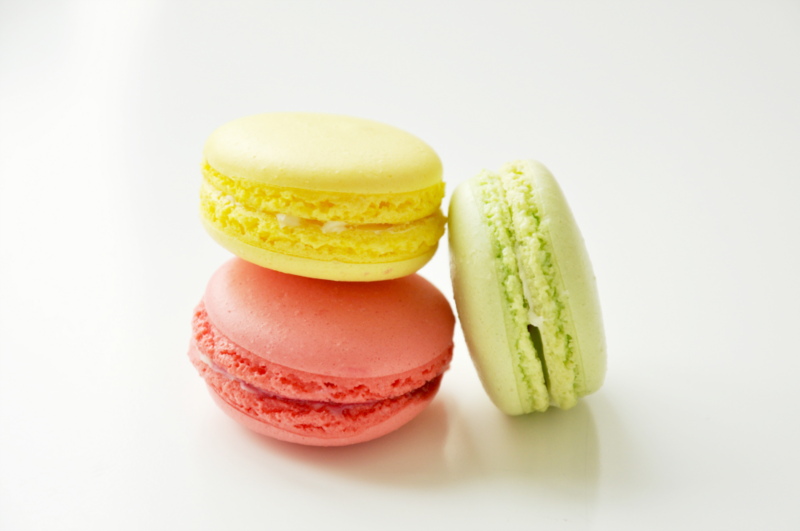 Lucky for us, most cakes, cookies, doughnuts, truffles and other treats are … round! If ever there was an excuse to indulge yourself, New Year’s Eve is your night. And now for some recipe inspiration, here are some New Year’s recipes that I’ve curated—they look super tasty, extra lucky, and simple to make! Salut!